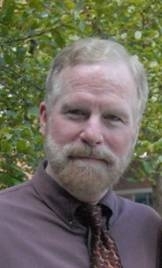 David C. Downing is a professor of English at Elizabethtown College in Lancaster County, Pennsylvania. He earned PhD from UCLA and he is currently teach professional and creative writing at Elizabethtown College. Video-author discussing "Looking for the King"
David C. Downing is currently considered a "single author." If one or more works are by a distinct, homonymous authors, go ahead and split the author. David C. Downing is composed of 3 names. You can examine and separate out names.